A fast-food joint was held up at gunpoint prompting a strong police presence in Brampton Tuesday. Peel police were sent to the restaurant at Tomken and Wilkinson roads, near Pearson International Airport, at 3:50 p.m.
No injuries were reported during the heist. The suspects got away with cash. A police officer from 21 Division noticed a male who matched a suspect’s description, chasing him on foot. 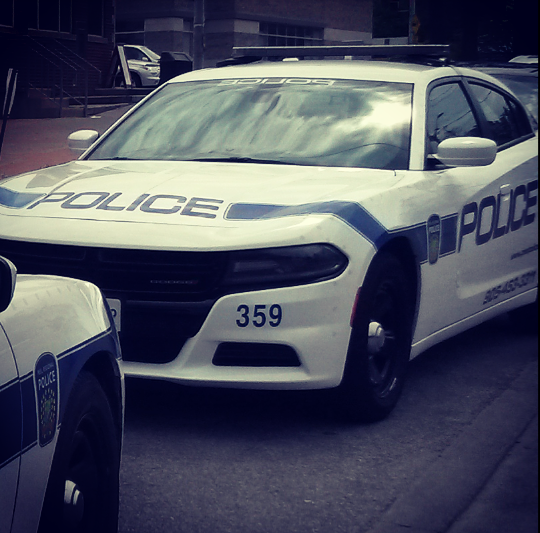 By 4:05 p.m. “the suspect was spoken to, arrested, and found to be in possession of a cap gun,” said Peel Regional Police Const. Mark Fischer. The man’s alleged accomplice is on the run. Tips can be directed to the central robbery unit at (905) 453-2121 ext. 3410 or Crime Stoppers 1-800-222-8477.